Commercial - Sta. 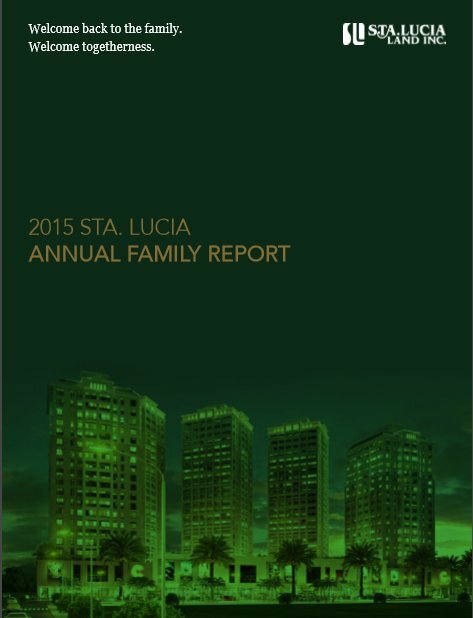 Lucia Land Inc.
A6-storey building located along Marcos Highway, bounded by the cities of Pasig, Cainta and Marikina. Strategically located as a lay-by of the upcoming LRT 2 extension, and has an interconnecting bridge to Sta. Lucia East Grand Mall. The timing couldn’t have been better for Sta. Lucia Land Inc. as it takes an aggressive, ambitious stab at creating what could be the first central business district in the eastern side of the metro. And it has all the reasons to believe that it can do so. “That area in the east is so prosperous and developed now. You wouldn’t be putting up malls there if there’s no demand. In our mall alone, there’s always a lot of people and we are experiencing a high occupancy rate despite the entry of other bigger players in the mall industry,” Dela Cruz explained. “We believe that it is strategic to put up our first office in Cainta to the extent that there’s an existing complementary development there—namely the mall complex and residental towers. We don’t know if it will be a successful CBD, but we want to try as it will be the only hub in its area which we believe, holds a lot of talent that BPOs and other companies can tap,” Dela Cruz concluded.